This is Part 4 of the IntelligentHQ Series on Collaborative Finance. Collaborative Finance is an umbrella term that assembles together various processes of money exchange happening right now that are revolutionising finance. 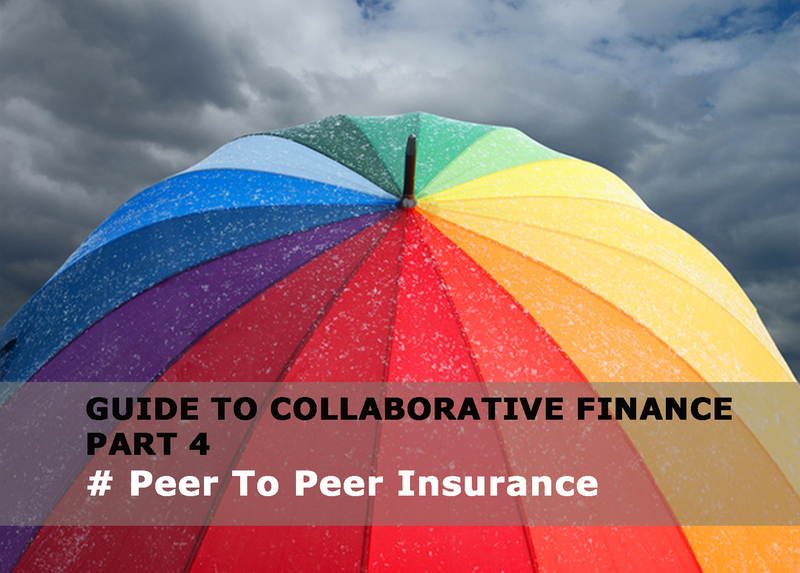 Peer to peer finance has been taking off, but one fairly recent development is its move into the realms of insurance. As the P2P Foundation explains, peer to peer insurance can mean that your friends and family agree to cover part of the damage if there is an insurance claim, and that this has the ability to cut back on a great deal of your costs of insurance. In some cases it is argued to be possible to make up to 50% to 70% reductions on insurance costs by taking this approach. It’s an interesting idea and it is already being put into practice. The way it works is that these “friends” could be actual friends and sign up as a group, or they could find one another via the Friendsurance website. The way it works is that some of their premiums are then put to one side to settle small claims. If anything is left over at the end of the year then that is divided up between the friends. The company offers legal-expenses insurance, as well as household and personal liability insurance. Why would people sign up? Well, as explained by Friendsurance, it means that the quality of risk can be reduced since groups are self-selecting, and friends are more likely to be transparent with one another. This cuts back on the risk of fraud. In addition The Economist describes how friends are unlikely to put in small claims, perhaps because they are more concerned about what their friends would think or because they do not want them to be negatively impacted, while traditional insurers face large costs for small claims. The Pragmatist also explains the concept of peer to peer insurance, and how it works. It is argued that peer to peer insurance would mean that an electronic platform would be needed that could offer direct insurance contracts between people that are insured and different investors. Each of these people would get a small amount of the total premium, but each would only have to pay out small figures if there was a loss. This means that risk is spread among many investors. Additionally it has the impact of removing the middleman so making fees cheaper overall. Another example of a to-be peer to peer insurance company according to Pragmatist is jFloat. This is a platform that does not appear to have launched at the current time. The idea behind it is that users will be able to pay their premiums into “floats” which will be comprised of people that are family and friends, or similar people based on a survey by the website. The group will allow membership to people or it will deny them. When a member has to deal with a claim below a set figure then the money for that will come out of the pool. The group decides whether it will carry on or not if all the money from the pool runs out. The group can then choose to shut it down if they wish to do so. There will be an algorithm which will calculate for the group how much each person will need to put in to help it get back up and running again to be able to insure the group effectively. Again, the goal is that claims that are unreasonable or unnecessary are put off by the use of these methods. Many of the big insurance companies have not yet jumped at the chance to get involved in such types of insurance. But that is not necessarily a measure of how successful it is likely to be, since in many cases larger companies have not been involved in other types of collaborative finance either. It remains to be seen how this industry develops and if people are eager to get involved in yet another type of peer to peer financing.